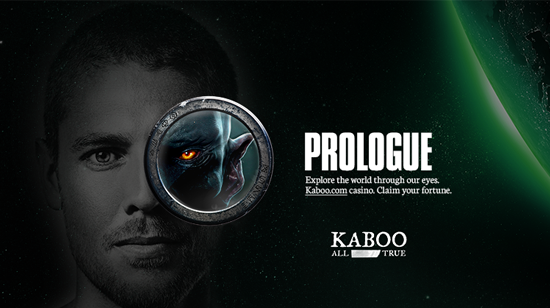 Kaboo is an online casino set on the galaxy’s Milky Way. Get rewarded and become the one……..
Are you up for some excitement and sensation? Create an account at the new casino Kaboo and enter the world of the Booleans. The Boolean Brotherhood will challenge you with expected and unexpected missions. Your main objective is to complete the missions to come one step closer to the truth. Earn your Echoes, which can be exchanged for free spins. Long, long time ago, before anything else there was chance. Out of nothing, just chaos and order. A world of it’s one. And the Booleans kept this safe, all captured in a book. But… it’s secret is unveiled. But still the Booleans are the gatekeepers for our wishes and fight for those wishes. And when a gate or portal closes, a new Eclipse opens. An Eclipse comes with a mission. The missions are challenging, exiting and always different. The Quantum Mode will rapid up with twice the speed of your progressions bar. Or you can play for example the Halloween Mission. Missions that give you a unique chance to always progress towards more Free Spins – in other words; endless bonuses to collect! What caught my attention is that as soon as I registered an account with the casino, I receive 5 free echoes giving me a head start to wager on the games free. 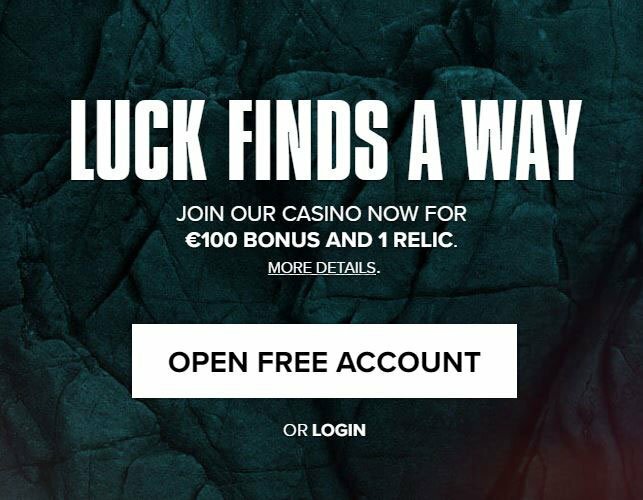 Another attractive aspect is the welcome deposit bonus package of up to €200 on your first 2 deposits plus 100 echoes. You will receive 100% Bonus on your first deposit + 50 Echoes and 100% Bonus on your second + 50 Echoes. Get rewarded by Echoes. Echoes are like player points that can be exchanged for free spins, free spins and even more free spins. Soon there will be more bonuses, like deposit bonuses. Meet the Boolean Brotherhood and be the one…. The casino is relatively new having been established in 2015 and offers a wide array of NetEnt games. It’s actually a NetEnt powered casino that is owned and operated by Betit Operations Ltd Casinos and licensed in Malta. The casino does not show much detail when you simply visit its website as guest. To get a better view of the casino as well as understanding its main objective, you simply have to register or log in to the casino. As a newly registered user, the casino will immediately offer you 5 free Echoes that can be converted in to free spins and these will be available only for play on NetEnt’s game title “Starburst”. However, the casino will only allow your Echoes when you have at least 10 or more Echoes in your account. Your first deposit will award 50 Echoes. 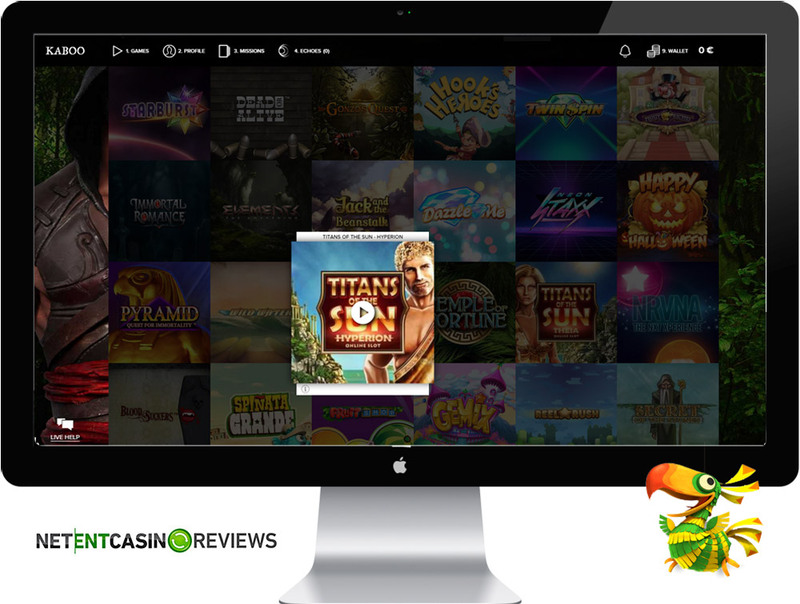 The casino offers a wide array of NetEnt games and you can use the filter option to select games by “jackpots”, “Table Game” or “Others Games”. Players can also make use of the search function to find their favorite casino game. To start a mission, all you have to do is select the “start a mission” button shown on the site, make a deposit and start your missions immediately. Each selected game comes with several missions and all you have to do is to complete the missions and receive Echoes. By reaching 2 bonus rounds in any select game you will receive 5 Echoes given that your minimum wager was €0.40. Kaboo casino offers different types of regular and exclusive bonuses.Kaboo offers spacious bonuses to all its players. It make use of an attractive reward program that awards Echoes and these can be exchanged/converted into free spins. For first time players, by making your first two deposits, you will receive 100 free Echoes absolutely free. Players can use the Echoes to wager on any of the selected slot games by simply converting them into free spins. By partaking in challenges, you will also get to earn Echoes. The more you keep playing and winning at the casino, the more Echoes you receive. 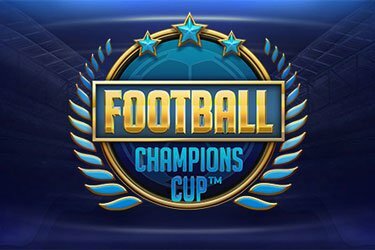 Wagering Requirements: Players would have to wager a max of 60 times so as to clear their bonus and an added advantage is that winnings from the free spins do no carry any wagering requirements. You get to cashout all your winnings from the free spins. Withdrawal limits: €50,000 per day. Withdrawal Process: Withdrawals are processed within 3 to 5 banking days. The casino offers a great software application that is accessible via PC and mobile. It is powered by Microgaming, NetEnt, Thunderkick, Play’n GO, and Elk Studios. To get a head start, then casino offers the Book of Kaboo that gives out a summary of everything from how it came about as well as getting started with the missions. It also provides a short video in HD quality to help you get a clearer understanding of the casino. You will get to explore the true stories behind each and every casino game. Its software offers easy navigation and all its games and missions are available as direct play online. The mobile casino supports Android, Windows Mobile and iOS mobile devices. The moment you access the casino via mobile, all mobile games will be populated. Unfortunately, the casino does not offer any live dealer games. The casino offers more than 200 casino games and what I liked about the casino is that it offers a variety of NetEnt jackpots such as Hall of Gods, Mega Fortune, Geisha Wonders, Cosmic Fortune, Tiki Wonders, and Icy Wonders. The casino offers popular NetEnt slot titles and new titles are regularly added at the casino. Players can enjoy playing new exciting titles such as Hook’s Heroes, Dazzzle Me, Neon Staxx and many more. Players can also make use of the filter option to play Halloween themed slots. In addition, the casino offers an exclusive NetEnt game titled NRVNA, THE NXT XPERIENCE. Just like Thrills and SuperLenny. The table games offered at the casino include Double exposure blackjack, classic blackjack, Pai Gow Poker, Casino Hold’em Poker, Roulette, Video Poker, French Roulette and many more. By playing at Kaboo Casino, you will surely get to select and play your favorite casino game.